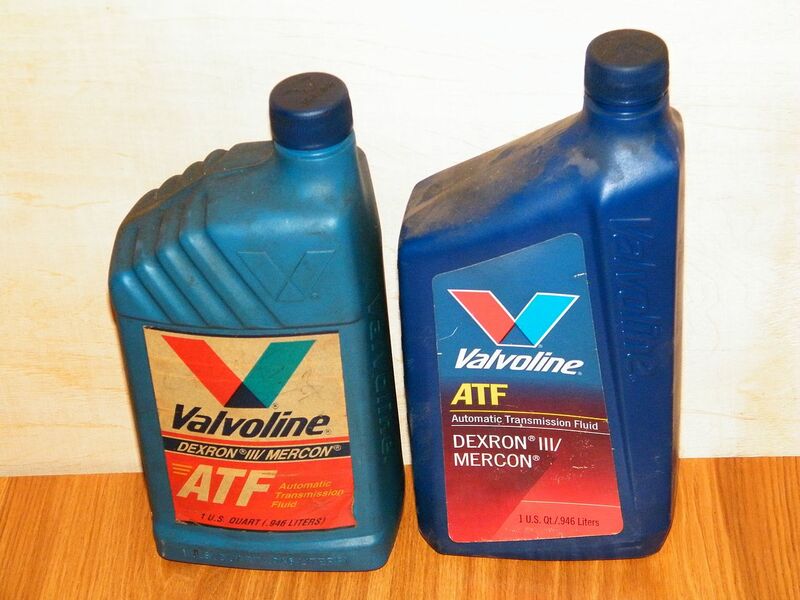 When Should You Have The Transmission Fluid Changed? What Is Done During A Transmission Fluid Change? The transmission fluid helps keep the transmission lubricated and prevents any damage to the transmission system. Each transmission system is slightly different and there are various types of transmission fluid available, which can influence how much you pay to have it changed. On average, a transmission fluid change costs between $152 & $410 for the majority of cars. Transmission fluid acts as a lubricant for all the moving parts in your car’s transmission system. In automatic transmissions, it also acts as a coolant and viscous fluid which helps transmit power from the engine. Different transmission fluids are used depending on the type of transmission in the vehicle. Manual transmissions use a range of oils, from regular motor oil to specific gear oil. Automatic transmissions use a specific product called automatic transmission fluid. The right kind to use will depend on your vehicle, so always check the manufacturers recommendations. A transmission fluid change is, as you would expect, when you have the fluid in the transmission system replaced. In a manual transmission system the fluid tends to become contaminated over time, with the wear and tear of the various components causing some debris to fall into the fluid. These particles will float around in the oil, and the contaminated oil won’t lubricate the components as well as fresh oil. This can have a negative impact on the lifespan of your transmission. For cars with a manual transmission, the additional heat in the system causes the fluid to degrade over time. The components in an automatic transmission system are also exposed to the same wear and tear as the parts in a manual system, which also causes contamination of the fluid. Both factors can cause the degradation of the transmission system over time, which is why regular transmission fluid changes are recommended. Having the transmission fluid replaced regularly will help keep the transmission in good working order and can prevent serious damage. It can prolong the lifespan of the components in the transmission system, and can save you a small fortune in repair costs over time. Repairing or replacing the transmission is an expensive procedure, so precautions should be taken to ensure it stays in optimal condition. Regular checks of transmission fluid should help you identify any potential issues ahead of time. Check the dipstick around once a month – if the fluid is still red it’s in good condition. If it’s a darker color or has a burnt smell it is likely time to have it changed. If levels are low, be sure to top it up. The general recommendation is to have the transmission fluid changed every 30,000-60,000 miles. There are various factors which can influence this, such as your driving habits and the type of car you drive. Check the manufacturers recommendation to see how often they feel it should be changed for your make and model of car. If you’re particularly hard on your transmission, either through poor driving habits or living somewhere with challenging driving conditions, the frequency is likely to be higher. This can include towing heavy vehicles, driving at higher speeds on roads which require frequent gear changes and driving in cold weather. Some automatic transmissions have a longer lifespan, with many manufacturers recommending a change every 60,000 – 100,000 miles. This will obviously depend on your driving conditions, but if you take good care of your car it can last a long time. The initial checks will ascertain if a full fluid change is required. The mechanic will check the color of the fluid and the fluid levels. If the fluid is the right color, it might just need topped off instead of fully replaced. The car will be jacked up and the mechanic will locate the transmission fluid pan. It will be attached to the bottom of the transmission, typically secured with 6-8 bolts. The drain plug will be removed from the pan to allow the fluid to drain out. Some cars may need to have the pan removed entirely to drain it. A receptacle will be placed under the pan to collect the fluid, which will be disposed of later. If the pan needs to be removed it can be fairly messy, so something wider than the fluid pan will need to be used. The fluid will be inspected for potential signs of damage to the transmission. Small metal shavings are normal and expected, while larger chunks of metal could indicate a more serious issue. Draining the fluid will only remove around half of the liquid – removing it entirely will involve a full flush of the transmission system. This is a more involved procedure, and will ultimately be more expensive. The mechanic will usually inspect the transmission system when it has been drained, looking for any possible issues. If everything seems to be ok, the fluid pan will be reattached and the drainage plug put back in place. The car will be removed from the jack and the new transmission fluid will be added. This is usually done in the same area as the dipstick, so it’s a fairly straightforward process. The mechanic will allow the car to run for a few minutes, periodically checking the fluid levels. If it’s low, they will top it up while avoiding over filling. Changing your transmission fluid is something which you can do yourself if you have the right tools and are comfortable with repairs. It’s not a particularly complex job and no specialist equipment is needed, so you can save money on transmission fluid changes by doing it yourself. One thing to note about changing the fluid yourself is that the fluid itself needs to be recycled properly. Many garages have drop off facilities, and if not they may be able to direct you to the appropriate facility in your area.